It contains mostly all of the best ways to improve your health or even your medical condition. 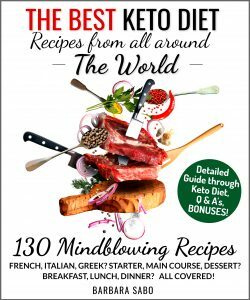 Having these Unique recipes at your disposal is an ultimate solution to correcting an unhealthy diet or even your cookbook collection. It’s the all in one package covering dash diets, weight loss and many more! With Plenty of benefits having raw diet, these recipes are the step to opening the door to your New Healthy Life! This book is bargain priced from 06/15/2016 until 07/13/2016. From the author of five Amazon Bestseller cookbooks comes a cookbook that doesn’t focus on recipes. Instead, it shares the secret of creating a Full Meal in around 30 minutes. With just Proper Sequencing and Parallel Processing of your actions, is author Prasenjeet Kumar’s answer. So if till now you didn’t know (or hadn’t thought about) as to how with proper sequencing and parallel processing you can reduce your drudgery by many, many fold, you have come absolutely to the right place. In that background, the Book presents around 40 dishes grouped into 10 Full Meals consisting of: two “concepts” of breakfasts, four Indian meals, one Thai meal, one Japanese meal, and two Western meals. Prasenjeet Kumar is a Law graduate from the University College London (2005-2008), London University and a Philosophy Honors graduate from St. Stephen’s College (2002-2005), Delhi University. In addition, he holds a Legal Practice Course (LPC) Diploma from College of Law, Bloomsbury, London. Prasenjeet is the self-taught designer, writer, editor. This book is bargain priced from 03/21/2015 until 04/15/2015 Check book price before you buy, as prices can change due to expiration of the sale or other technical issues. From a Bed for Curries, to Pilaf, Biryani, Khitchri, Idli, Dosa, Savouries and Desserts, No One Cooks Rice as Lovingly as the Indians Do. From Prasenjeet Kumar, the Amazon #1 bestseller of the “Cooking In A Jiffy” series of books, comes the ultimate rice cookbook that anyone looking for gluten-free food should just grab with both hands. Cataloguing the legendary “love affair” that Indians have with rice, the book narrates how rice forms an intrinsic part of every Indian’s life from birth till death. In this background, the book presents a total of 35 mouth-watering rice dishes: eight plain rice cooker recipes, five recipes for cooking rice with lentils, five each for cooking rice with vegetables and meats, five ways to use rice in snacks and seven as desserts. This book is bargain priced from 03/17/2015 until 03/21/2015 Check book price before you buy, as prices can change due to expiration of the sale or other technical issues. Fast & Easy Delicious Christmas Recipes! Pressure Cooker Recipes to Free Up Your Time. If you have been looking for some fast easy and tasty Christmas recipes then look no further. This simple Christmas cookbook has 20 step-by-step Christmas pressure cooker recipes and treats for anyone looking to impress the entire family with delicious foods! We have all had this problem. Your kitchen is full of food, the oven and stove top are jammed packed and you need to cook one more things but you can’t. But not anymore! With this STEP by STEP recipe guide and your trusty pressure cooker you will be done cooking Christmas dinner in record time. With this Christmas pressure cooker recipe guide you will be enjoying Christmas with your family instead of being stuck in your kitchen! This is the ultimate Christmas cookbook with 20 step-by-step Christmas recipes which includes: Irish Oatmeal with Fruit Country Sausage Gravy Chicken and Sausage Soup Corn Chowder Turkey Noodle Soup Potato Carrot Soup Country Style Potatoes Crunchy Topped Potatoes Quick Simple Stuffing Baked Beans Braised Artichoke Recipe Coke and Pineapple Glazed Ham Veal Roast Bone-In Beef Short Ribs Herbed Pork Roast Pumpkin Caramel Pecan Cheesecake Pecan Caramel Cinnamon Raisin Bread Pudding Ginger Apple Pudding Spiced Peach Crunch Cinnamon-Flavored Fruits Along with these great recipes you will also receive a chapter on how to use both a stove top pressure cooker and a electric pressure cooker and also the must have accessories for your pressure cooker. If you are ready to make this years Christmas dinner a complete success Download this book today and never go back to the old days of cooking for hours. OK, so you love Italian Food, “Yes?” Who doesn’t? You may not know how to cook, or maybe you do and want to add some Great Recipes to your repertoire. You may feel It’s high time you learned how to make an awesome Italian Pasta Sauce, “Hey, everyone should!” But, what kind; Tomato, Marinara, Bolognese? 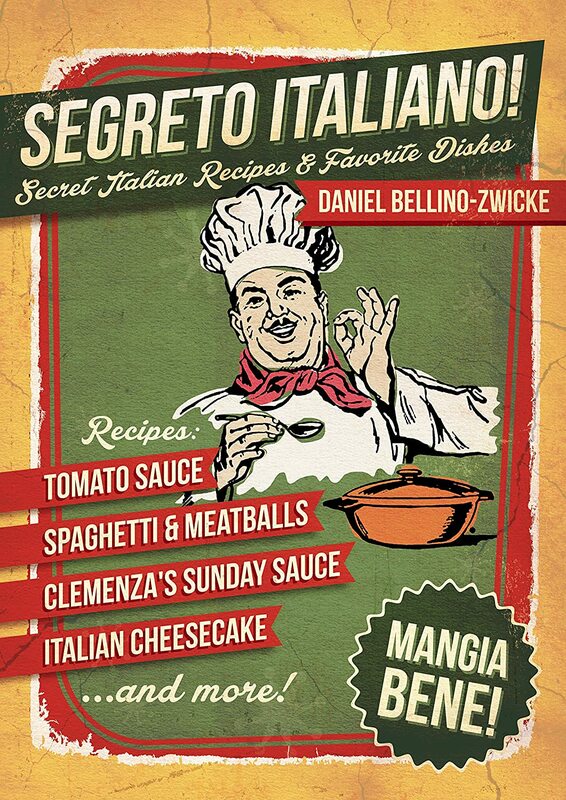 Or maybe you already have a number of recipes, but do you have recipes for; Clemenza’s Godfather Sunday Sauce or Danny Bolognese’s Ragu Bolognese? No, we didn’t think so! How about Gino’s Top-Secret Salsa Segrete from the beloved old New York Red-Sauce Joint “Gino’s of Capri?” Well, now it’s time for you to delve into SEGRETO ITALIANO and find rare and Secret Recipes, and learn how to make make Italian-America’s favorite dishes, dishes like; Cacciucco, Lucia’s Jersey Braciole, Uncle Pete’s Baked Rabbit, Jersey Shore Crab Sauce, or Serio Maccioni’s original recipe of the World Famous Pasta Primavera. On the whole, Italy is a small country. In order to add a bit of perspective, consider this: The whole of Italy is actually less than half the size of the state of Texas in the United States. However, as small as it may be on a geographic scale, Italy is a country with a long, respected, and resilient history. Between 476 AD (the fall of the Roman Empire) and 1861 (the year it was finally unified as one), Italy was made up of independent regions, republics, and city states that were constantly under threat of invasion by neighbors as well as intruders from other foreign lands. The fact that much of the history of early Italy was wrought with the mistrust of those who would try to invade and encroach on their ways of life, coupled with the fact that the sharing of culinary traditions and ideas is a recent development, helps to explain how Italy has managed to maintain a varied cuisine from region to region even to this day. There are twenty regions that make up Italy. Each region is unique in characteristics and cuisine. Every village or town in each of these regions offer dishes that may seem the same on the surface, but are executed with the unique qualities of the region itself. Just as each town or village takes pride in putting a unique spin on common dishes, they also have their own specialty dishes of which they are extremely proud. The local culinary recipes, whether they be common or specialty dishes, are shaped by the geographic and historical differences that encompass each region. It is no wonder, then, that a land as geologically diverse – mountainous, coastal, hilly, and flat depending on where you stand – would provide the world with some of the richest and most influential cuisine. For a people that pass down traditions from generation to generation, these culinary traditions are no different in that they help to define the identity of the people, the region, and the very country of Italy itself. 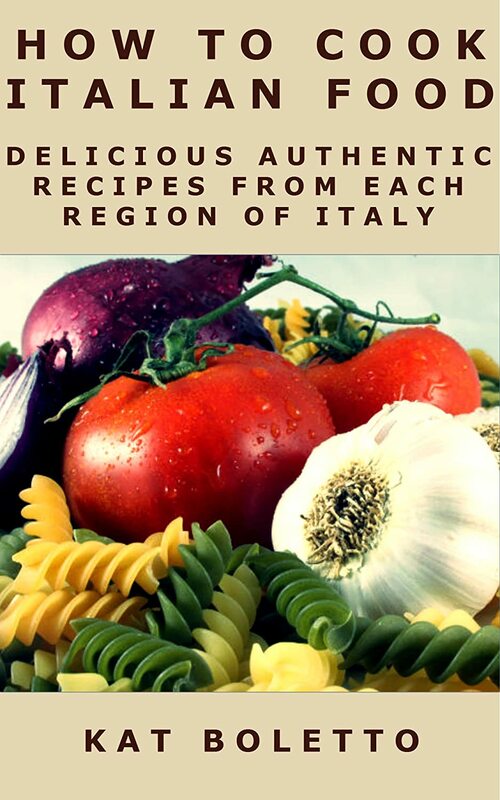 In this cookbook, you will find a total of sixty recipes, three from each of the twenty regions that make up Italy. Please enjoy the recipes in this book, and take the time to discover the traditions from each region of Italy in your own kitchen!